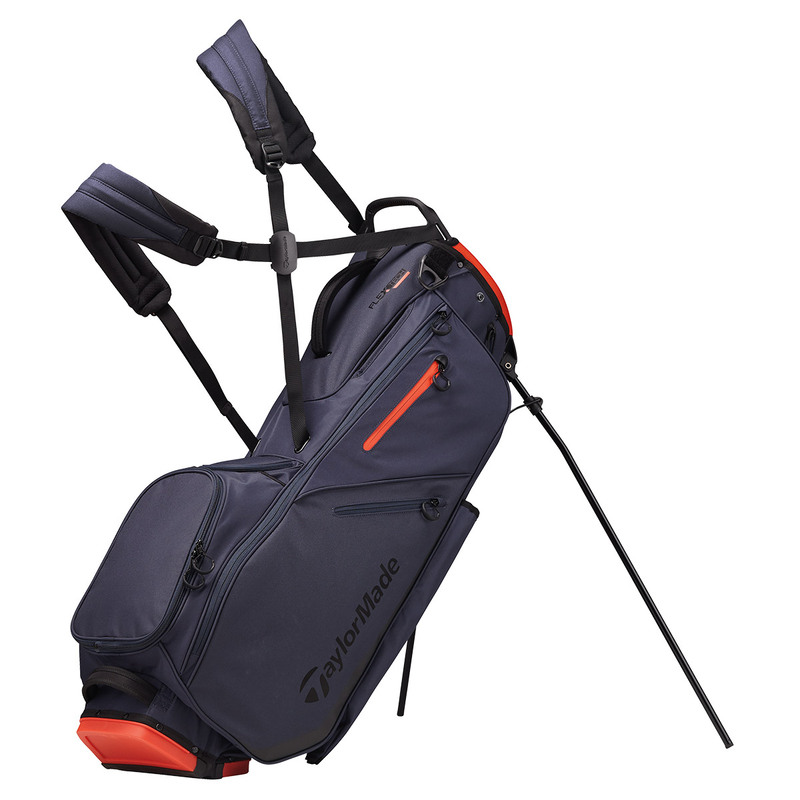 TaylorMade’s FlexTech bag line features a patented smooth release system and collapsible base system to improve ease of use and prevent club crowding. 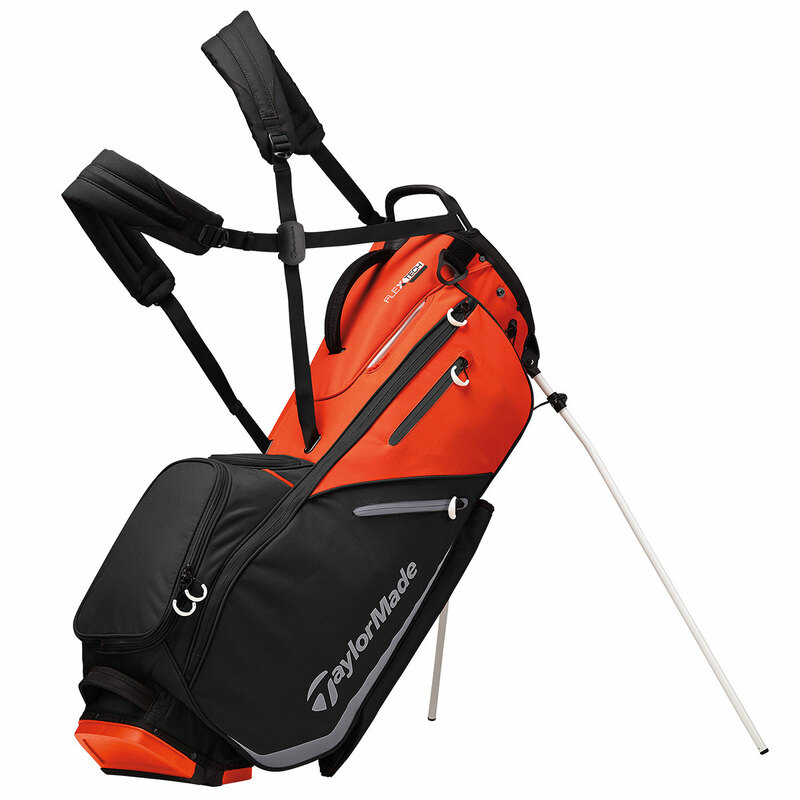 The FlexTech Golf Bag also includes a self-adjusting strap system with a strap slider system for a more convenient and stable carry. The bag has 11 pockets which include a micro-suede lined valuables, large apparel, 2 additional side, easy access drinks, plus has a rain hood pocket.